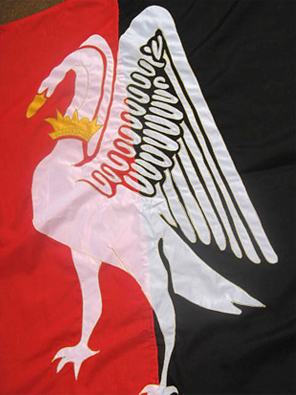 There are three annual Town Council meetings; the Annual Town Meeting, the Annual Statutory Meeting and the Precept. 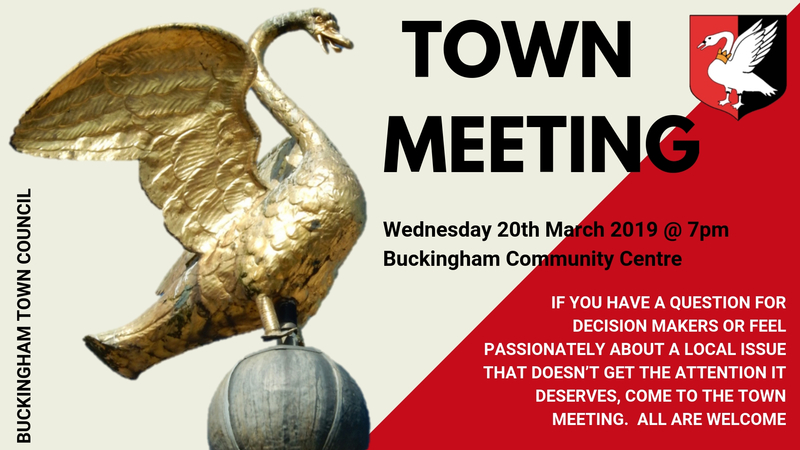 You are warmly invited to Buckingham’s Annual Town Meeting on Wednesday 20th March 2019 in Buckingham Community Centre, Cornwalls Meadow at 7pm. We will be hosting a virtual meeting during week beginning Monday 4th March. Last year we reached 16,357 and engaged with 8,415 during the virtual meeting (A summary of last year’s event can be found here). Residents will be invited, via a variety of media, to post questions or comment under discussion topics with responses from the Town and Council Officers, with comments being fed into the Annual Town Meeting. The evening meeting of the 20th March will be run in an Open Space format; all that needs to be discussed, will be. Everyone is very welcome! We anticipate that the event will enable the Town Council and our partners to gain a wide view of residents’ views on issues facing the town as well as to work together to respond effectively. We sincerely hope you are able to support our event. The Annual Statutory Meeting in May is the first meeting of the municipal year. The elections of the Mayor and Deputy Mayor take place at this meeting. The Precept meeting is the meeting which determines the tax that Buckingham Town Council will request via Aylesbury Vale District Council to be collected from the eligible households in the Buckingham Town Council catchment area. The agenda for the Precept meeting on the 14th January 2019 can be found here.